Do You Need a Chiller Rental? Are you in the market for a chiller rental? If so, Alpha Energy Solutions can help. 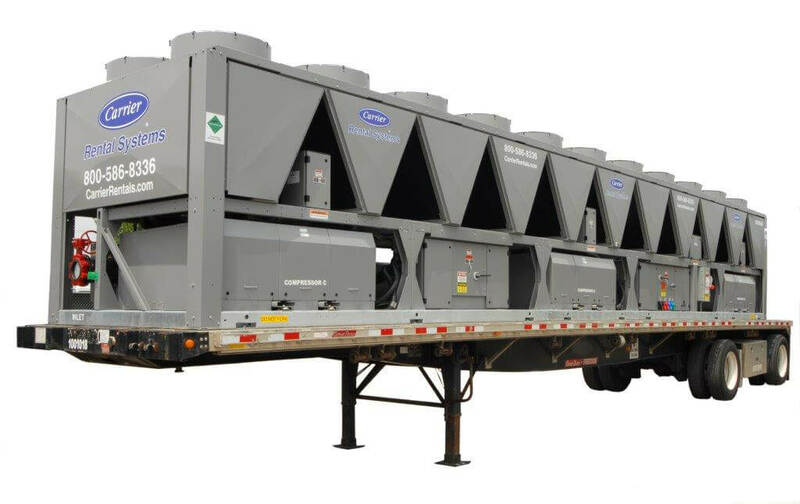 We specialize in chillers for both commercial and industrial situations. Investing in a rental unit may be ideal for short-term applications. In addition, rental units are helpful in the event of emergencies. Regardless of what you need a chiller for, we can help you locate a working solution that will deliver positive results. When you are shopping for a chiller rental, consider speaking with an experienced professional. At Alpha Energy Solutions, we are experts in the field. In fact, we have over 2000 years of experience combined. We are familiar with all of the leading manufacturer brands and have access to a wide selection of systems. Trust your rental equipment to a company with experience, trust your chiller needs to Alpha Energy Solutions. There are many types of chillers available on the market. Determining what chiller will perform best starts with your specific application. Chillers are used for cooling water which is then distributed to create cool air. All chillers process the cool water differently depending on their application in heating and cooling. Multiple industries use chillers for manufacturing processes as well. Vapor-compression and vapor absorption are two types of chillers that differ in how cooling is processed. Vapor-compression chillers may either be air-cooled or water-cooled. There are a few considerations that you should keep in mind when searching for a chiller. Review the following points before you begin your search. How long will you require the chiller? Will you require more than one chiller rental? Do you require an air-chilled or water-chilled or evaporative chiller? What will your chiller be used for? How big is the building in which your chiller will be used? Is your chiller requirement urgent and necessary for an emergency? How much energy do you currently have available to support your equipment? How much energy will your chiller require? Where will your chiller be placed? Is there currently enough space and connections available for your chiller? What type of maintenance and upkeep will be required to maintain the chiller’s performance? Alpha Energy Solutions can help you identify a chiller that is suited for your unique project, situation or facility. We understand that no two needs are the same and chiller applications will vary across different industries. Your chiller is a large investment and you should expect it to deliver optimal performance for a long time. Contact Alpha Energy Solutions so that we may help you find a chiller system that is right for your requirement.